After a valiant fight, my sister Patti succumbed to complications of Non Hodgkin Lymphoma and a bone marrow transplant in July of 2008. But she survived for over 10 years and lived a happy, loving, and productive life. There is no better way for me to honor my sister's memory than by participating in the Leukemia and Lymphoma's "Light The Night" Walk in Denver on September 27, 2018, in Washington Park. Please join my team by coming out to walk or making a donation. Simply click on the "Donate Now" button to the right. 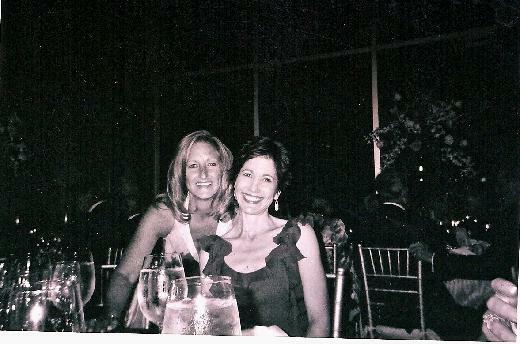 My Sister Patti and I! Why I Walk: Meet Connor McGoff Who is a True WARRIOR! Connor is an 8 year old boy. He loves animals (especially dogs), Star Wars, superheroes (Hulk is his favorite), and playing outside on the swing set, like many kids his age. Unlike many kids his age, however, Connor has been fighting leukemia nearly his whole life. He was diagnosed at just 19 months old, fought hard, and went into remission after more than 3 years of really tough treatment. Unfortunately he relapsed in early 2017. He fought hard, again, this time with the help of his amazing sister, Chloe, who donated her bone marrow to help her little brother. And despite all of this, Connor recently relapsed again and is now on his third fight. The difference this time around is that he will be the 6th patient at Children's Hospital Colorado to receive something called CAR-T Cell Therapy. This is a treatment that was funded by LLS more than 20 years ago, and was approved by the FDA in 2017. We are hoping that this is going to finally fight off "the bad guys", as Connor calls his leukemia. The fact that LLS funded this research, and now it is being used to treat this little boy is WHY I WALK. We need to continue to support LLS because I believe the next life-saving idea is out there, and we need to fund the research and save lives. In late 2015, Paige and her husband were in their late 20s and enjoying a happy and healthy life. She loved to travel, bake, and garden. Then suddenly, she started feeling weak and needed to rest often during the day. She went to the doctor thinking she was having an allergic reaction to something, but didn’t get to go home. They found acute leukemia in her blood. She couldn’t believe it. There wasn’t time to process the news, because she was immediately sent to Presbyterian - St. Luke’s Medical Center (PSL) in Denver, admitted to the ICU, and placed on oral chemotherapy while her doctors began their plan of attack. Over the next six months, she was hospitalized for 121 days and underwent three months of chemotherapy, eight sessions of full-body radiation, and then finally, a stem cell transplant. After a series of different treatments and a rigorous transplant process, she was in remission. Unfortunately she also had to deal with severe graft versus host disease, which forced another year of intensive treatments that took yet another huge toll on her body. At one point, she weighed only 77 pounds. But she never gave up! As a result of countless hours lying in a hospital bed, she is now dedicated to helping others beat blood cancer too. She was introduced to LLS and is now honored to volunteer for the organization and to be the 2018 Light The Night Honored Hero. LLS makes a huge difference in the lives of those touched by blood cancer by funding research and supporting their patients and families. My sister Patti and my Dad, helped to start the first walk in Denver back in 1999. That year, the walk raised a litle over $57,000. Last year, the walk raised $1.45 million and became the 5th largest walk in the country. This event became Patti's passion because it provided her with a tangible way to help blood cancer patients and their families facing the fear and anxiety of cancer and treatment. Patti also knew that only through millions of dollars raised could important research to find a cure continue. An Upate on How Your Dollars are Used: To date, LLS has invested more than $1.2 billion in research to advance break-through cancer treatments like the one Connor is about to recieve. In 2017, 18 new blood cancer treatments were approved by the FDA., 15 of which were funded by LLS. Last year, our local chapter distributed more than $1.2 million in co-pay assistance to local patients to help them afford life-saving treatments. Your support will help find a cure for blood cancer. "Bring light to the darkness of cancer!" Please come and join my family by walking in Denver's event on Thursday, September 27, 2018 or by making a donation. Together, we can continue making a difference in the lives of blood cancer patients here in Colorado and around the world. Thank you again for your support. Your generosity is truly appreciated!! 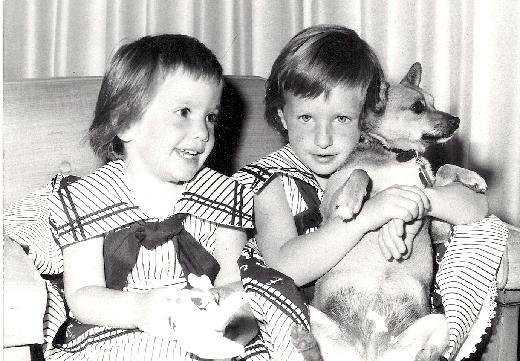 "In honor of your birthday and the amazing work you continue to do in Patti's memory." "Thanks Debra for continuing to push for a research and a cure. " "Thank you for all of your awesome work in fighting cancer!! " "Let's do what we can to help fight Leukemia!" "Thank you for doing the good work!" "In memory of my beautiful cousin Patti. " "Remembering Patti who we loved and admired." 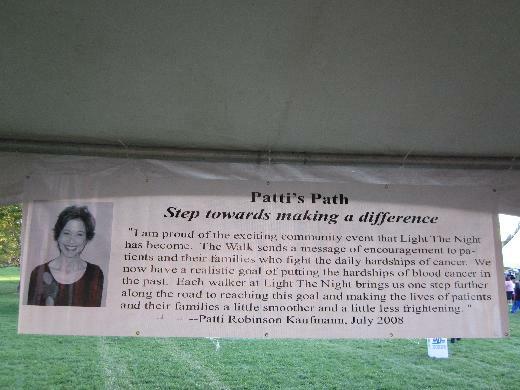 "Patt's dedication to Ligh the Night lives on though the love and sharing of others. "